There have been 2 major Not-for-Profit technology organisations dominating the sector – in their different ways – over the past 2 decades. 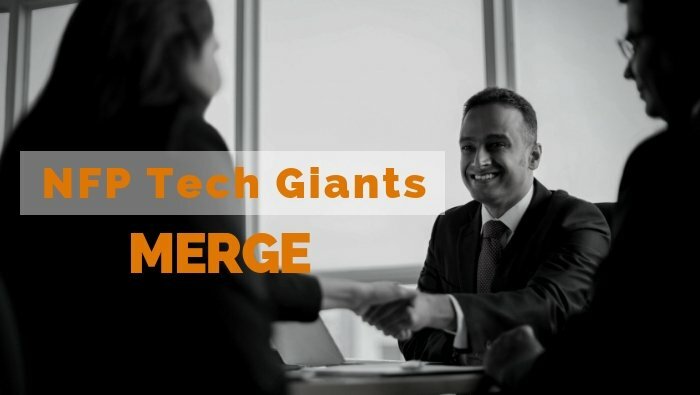 Connecting Up, with their donation and discount program, and Infoxchange, consultants and developers of “Technology for Social Justice” products, have announced a merger effective 30 November 2019. Connecting Up (and Tech Soup in New Zealand) will continue to operate as a subsidiary of Infoxchange and will maintain the donation and discount programs that have established their reputation in the sector. Both organisations have worked to improve digital access for not-for-profit organisations, making technology, advice and information available to those who need it most. They’ve worked co-operatively over the past few years and the merger brings them closer together. This will enable them to combine their strengths for the good of Not-for-Profits throughout Australia and New Zealand. In short, there won’t be any changes. Calxa will continue to offer our donation program and the team at Connecting Up will still administer it for us. Over the years we’ve had an excellent relationship with the Infoxchange team as well. Their extended network will be an opportunity for Calxa to help more small and medium NFPs. When we started the donation program back in 2011 our ambition was to give away $1m of Calxa software. We’re currently approaching $1.7m and are keen to reach the next milestone of $2m next year. We have positive relationships with both Infoxchange and Connecting Up and considerable respect for the management teams of both organisations. In the work they currently do, they are mostly complementary rather than competitive. The combined entity will have greater resources and be better able to help with the spread of technology in the Not-for-Profit sector. Better use of technology will lead to improved efficiency and effectiveness, enabling more people to benefit from the services the sector provides. If you’re not familiar with either organisation follow the links above and see the good work they do.